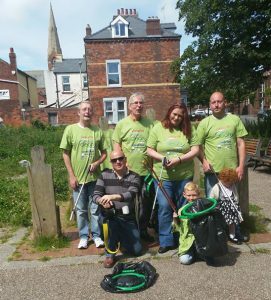 A project which sees residents giving up their time to help other people out is building community cohesion in Barrow in Furness. Barrow Timebank, set up by Inspire Furness CIC, received £5,000 from the Cumbria Fund and Barrow Community Trust to help with running costs for another year. The idea of a Timebank revolves around the simple principle that time is money and everybody’s time is equal. Volunteering one hour earns each member one credit, which they can then ‘withdraw’ the equivalent support or services when they might need it. 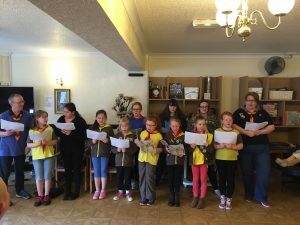 Nearly 100 members have joined the project since it formed in 2015 and during that time members have carried out a range of activities including working on a community garden, helping with craft activities at a sheltered housing project and taking part in community clean ups. During the period of the grant, 2,479 hours of time has been given by the members. By giving their time, members not only build up credits they can use, they also make new friends and support networks, improve their confidence and self-esteem as well as their health and wellbeing. Alan struggled with mental health since 2003 and after taking time off work, was made redundant in 2004. This led to his marriage breaking down and he started drinking heavily. His mental health deteriorated further, and he was admitted to a mental health hospital in 2005 and 2006. As part of Alan’s recovery, he decided to join the Timebank in 2016. He has since met new friends and by volunteering his time, he has become physically fitter but more importantly his mental health has improved. Alan is now a regular at the weekly drop-in sessions and goes along to the litter pick once a month. Neil Doherty, Manager, said: “One thing we get is often some members can be quite isolated and they immediately feel they haven’t got anything to offer. The Timebank Broker makes it clear that everybody has got something to give because it’s all about giving time. Members also attend the weekly drop-in where they can sit and have a coffee and a chat to help them get to know others.